Lock in a great price for Andromeda Resort – rated 9.9 by recent guests! Very clean! Best view of the castle than all the rest hotels! breakfast was perfect! location perfect! owner very friendly...everything was perfect!! Everything was fantastic. The view to chora and the castle is amazing. The room was spacious and was cleaned every day. The breakfast was delicious and changed every day. Eirini and her son Giorgos did everything to make our stay more comfortable. I can recommend the andromeda resort to any friend, without any hesitation. Very nice clean room and balcony with the best view! Comfortable beds. The whole hotel was very nice and beautitful. The breakfast was great and the owner so helpful and kind. The Staff was very friendly and helpful. Our room was clean, nicely decorated and the view from our balcony was trully excellent. The hotel is situated in a convenient location, close to all local amenities. Amazing views from the balcony . We stayed in Neptune, a quiet, well located and decorated room with a comfortable bed. The breakfast could be richer but was good enough. The traditional pies, every day different recipe, were super delicious. The local honey with yogurt was one of my favorite choices. Although the owner wasn't at the resort during our stay the lady Mrs Voula was so good, helpful and polite. We had fresh water every day in our room, coffee, tea and sugar. Highly recommended resort. This hotel is highly recommended. The view from the room was breathtaking, the bed was super comfortable, it is equipped with all you need and more, the owner Rena is a lovely, hospitable, helpful, person. 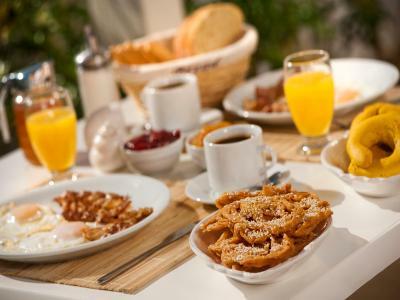 The breakfast is an experience you can`t miss. She provides Greek breakfast, and everyday you can eat a different type of pie, cakes, desserts, bread, fresh fruits and more, all local and with high quality. I enjoyed every single day there. Location, view, comfort,cleanliness,delicious breakfast and of course politeness of Mrs.Irine Melanoki owner of hotel! Wunderschön, gelegenes Resort mit faszinieredem Blick auf die Chora. Zimmer sehr sauber und geschmackvoll eingerichtet. Frühstück perfekt mit selbstgebackenen, regionalen Spezialitäten. Eine bessere Vermieterin kann man sich nicht vorstellen! Lieben Dank, Irina. Wir kommen wieder! Η κα Ρένα θα φροντίσει ώστε η διαμονή σας να είναι η καλύτερη! Ευγενέστατη, ήρεμη και πάντα πρόθυμη να σας εξυπηρετήσει! Τα δωμάτια είναι πολύ άνετα και όχι απλά καθαρά αλλά λάμπουν από καθαριότητα! Η θέα απ´ τα δωμάτια είναι συγκλονιστική καθώς βλέπουν κατευθείαν προς την υπέροχη Χώρα (την απολάμβανα ακόμη και ξαπλωμένος στο κρεβάτι). Ένα πρωί αξίζει να ξυπνήσετε νωρίς και να απολαύσετε απ´ το μπαλκόνι σας το μαγικό σκηνικό της ανατολής του ήλιου! Το πρωινό εξαιρετικά καλό! Το συστήνω ανεπιφύλαχτα! Andromeda Resort This rating is a reflection of how the property compares to the industry standard when it comes to price, facilities and services available. It's based on a self-evaluation by the property. Use this rating to help choose your stay! 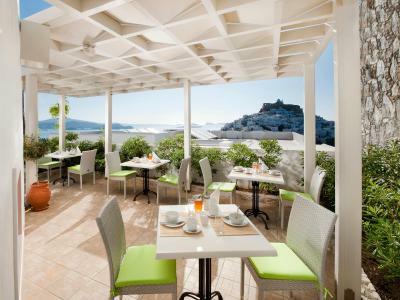 Andromeda Resort offers breathtaking views of the Venetian Castle and the Aegean Sea combined with easy proximity to the town’s center. 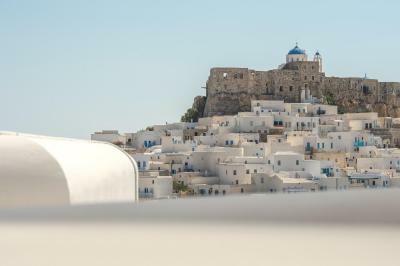 The brand new complex, built in Chora, Astypalaia’s capital, consists of of 8 guestrooms, each elegantly furnished and equipped with internet access. All guestrooms also feature a satellite TV and a kitchen. 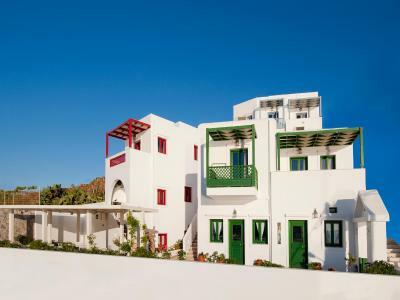 Each unit enjoys a view of the beautiful windmills and the sea from your own private balcony. Guests staying at Andromeda Resort can enjoy delicious homemade traditional pies and desserts served every day for breakfast. Andromeda is conveniently located only 1,300 feet from the castle, 0.6 miles from the port and 5 miles from the airport. When would you like to stay at Andromeda Resort? The standard double rooms feature queen-size beds. House Rules Andromeda Resort takes special requests – add in the next step! Andromeda Resort accepts these cards and reserves the right to temporarily hold an amount prior to arrival. Please inform Andromeda Resort of your expected arrival time in advance. You can use the Special Requests box when booking, or contact the property directly using the contact details in your confirmation. Not recommended for disable and older people. The road to the resort's parking wasn't in good condition so we preferred to park in the nearest public parking and climb up the stairs which are about 100 :) Easy to climb if you are healthy and in good shape.